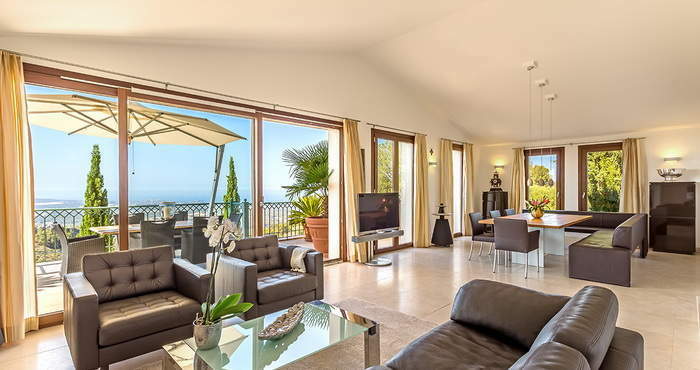 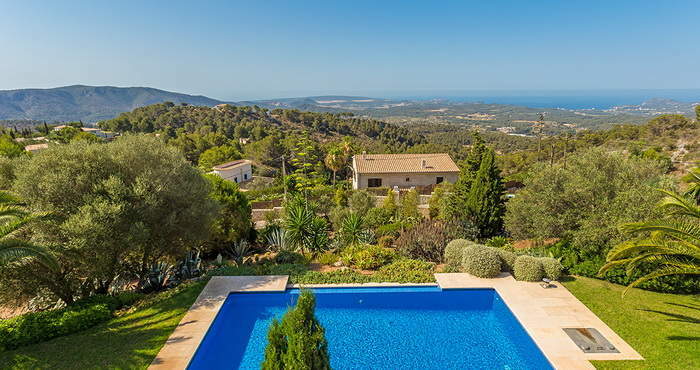 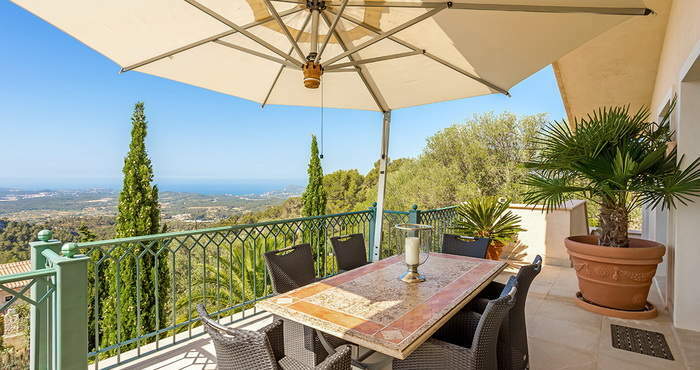 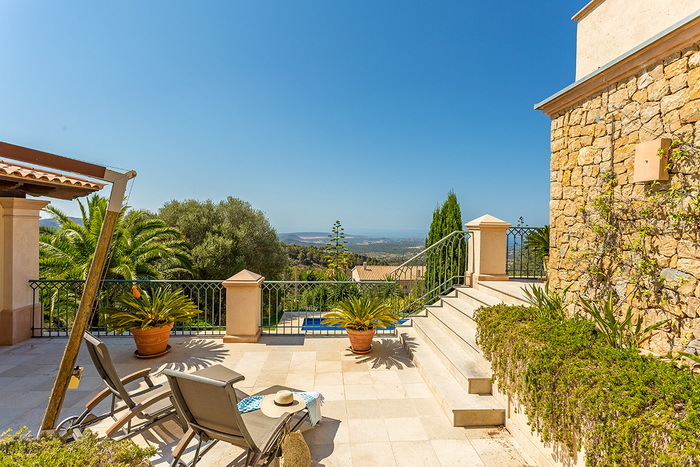 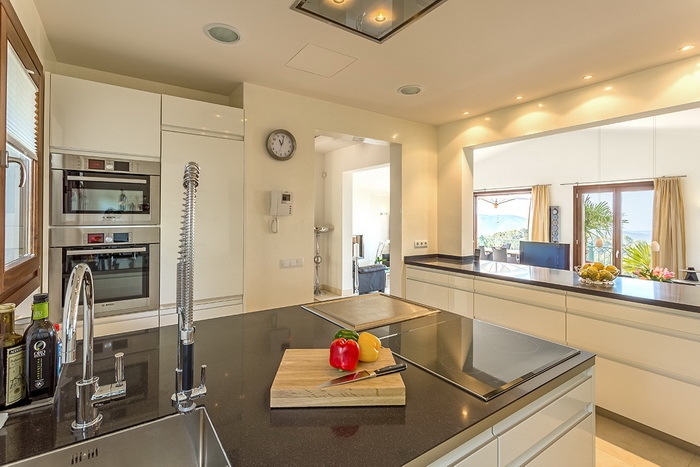 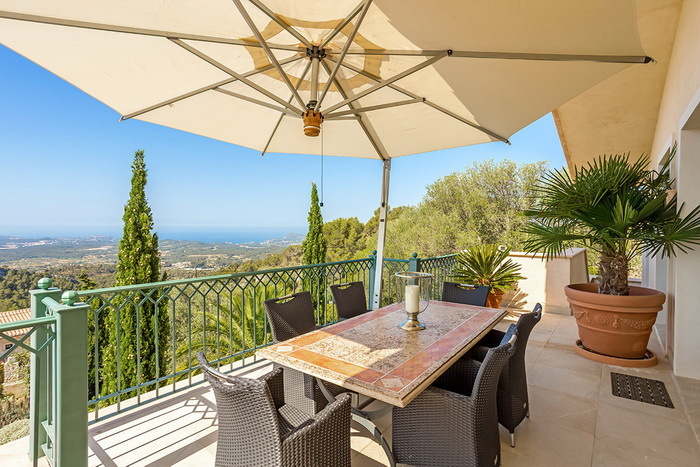 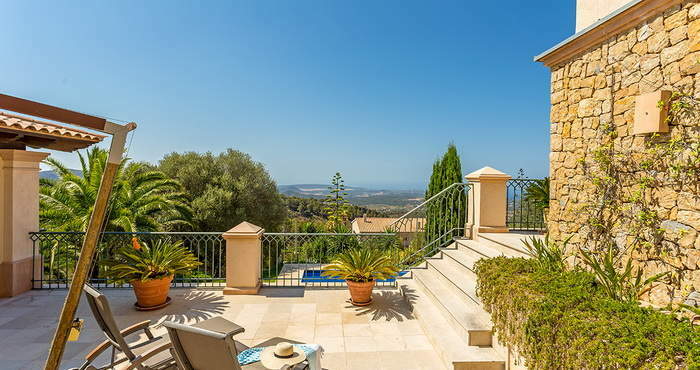 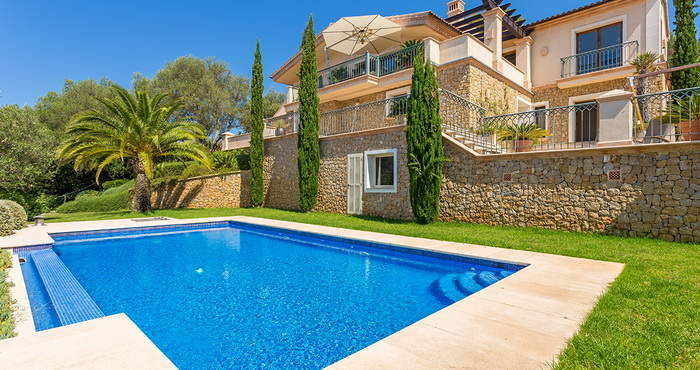 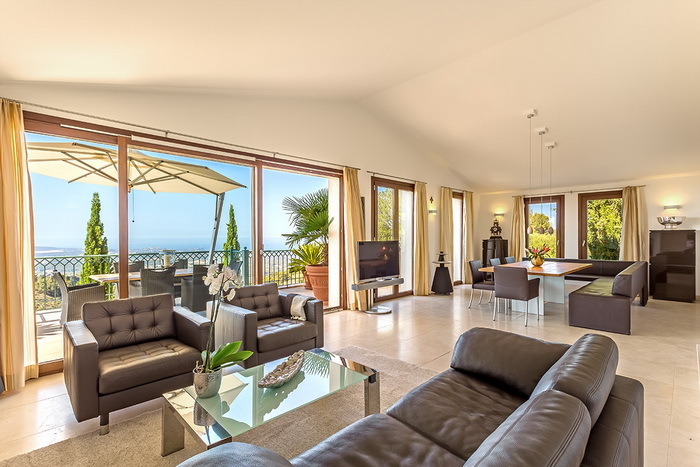 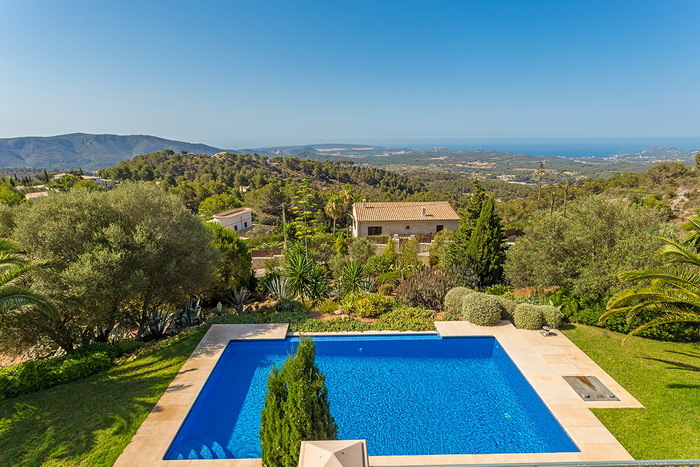 Situated high above the picturesque village of Calvia in the privileged urbanization of Son Font stands this enchanting villa with a modern, high-quality interior on a 4.000m² garden plot offering stunning panorama views due to its elevated position. 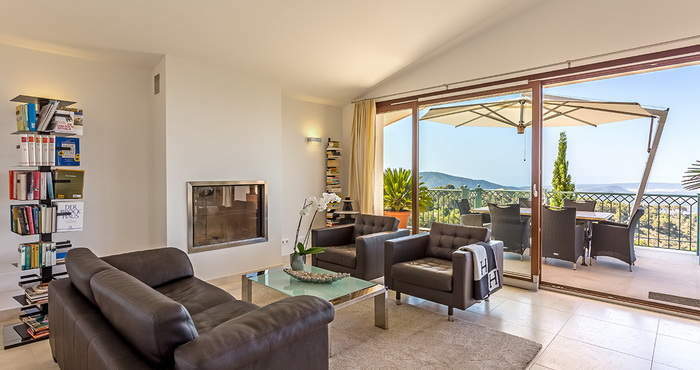 On the upper floor it boasts a living/dining room, an open kitchen with laundry, the master bedroom, a bathroom and a guest toilette. 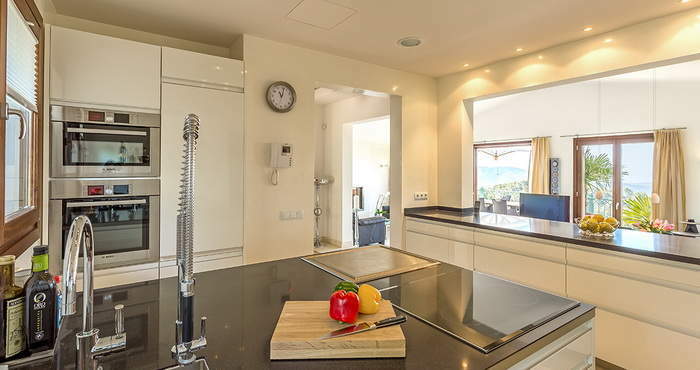 The lower floor features two bedrooms and a bathroom as well as a separately accessible sauna with shower (+ additional space for development) and a bodega. 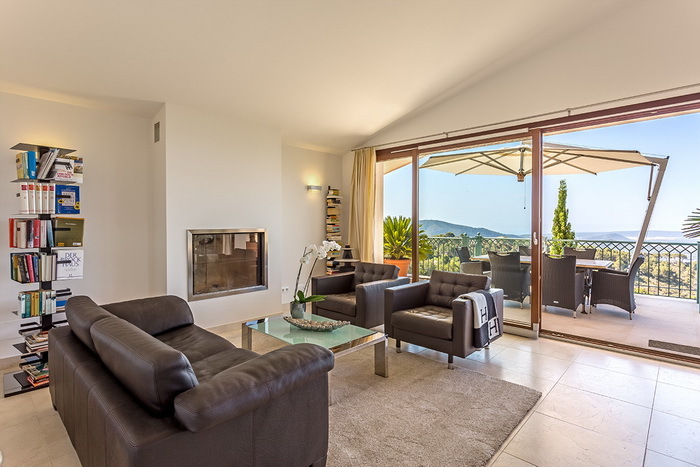 The beautifully conceived exterior area offers inviting terraces with an integrated swimming pool, a patio, an automatically irrigated garden and a roofed lounge which can be completely closed by means of sliding glass elements.